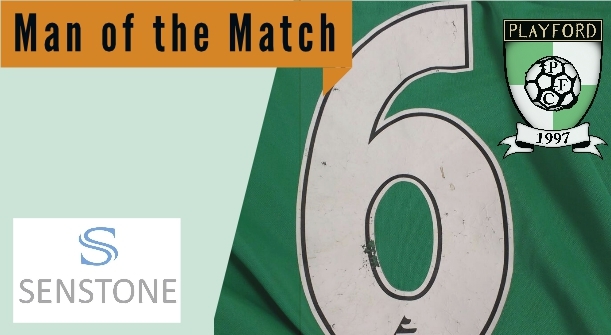 Lee Andrews was voted the Senstone Accountant's Man of the Match against Rushmere & Diamonds. He scored two and made the third as he attempted to pull Playford toward the victory they needed to win the title. Despite his best efforts and those of his teammates the Reserves were beaten 5-3. Defender Jack Larkins whose battling effort boiled over into a booking was also highly voted.